Although Google tends to be fairly mysterious in the specifics of what goes on under the hood of its search engine, it does drop the occasional hint. Take what Google Webmaster Trends Analyst Gary Illyes said at last year’s Pubcon, for example. Per Illyes, online brand mentions are a part of Google’s algorithms. Google has also admitted on multiple occasions in the past that it uses social signals as part of how it ranks websites. 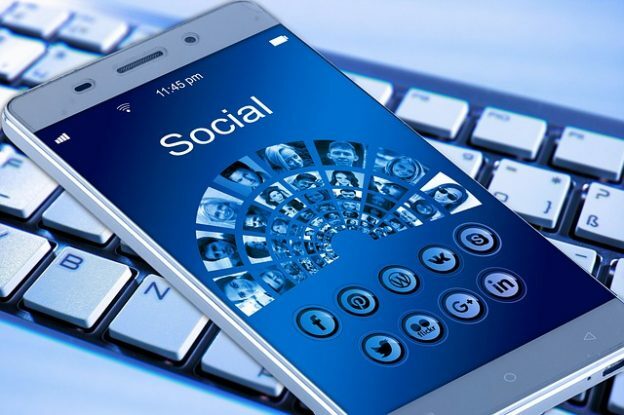 Moreover, an experiment carried out earlier this year by social media management organization Hootsuite found a positive correlation between social engagement and page rank improvements. Basically, what this all amounts to is that social media is now a cornerstone of good SEO. But how exactly can you tap into it as a ranking tool? First – and most importantly – you need to determine what social networks your target market is most active on. Those are going to be where you’ll set up shop. You’ll want to spend a bit of time studying and researching the following factors before you do, though. What sort of content do people in your target market share? What sort of language does your target market use? What brands do the people in your target market interact with most frequently? What are your competitors doing on social, and how much success do they appear to have? Once you know a bit about who you’re targeting and how you should target them, your next step is to nurture and cultivate. Post and share content that you know will be helpful, interesting, or entertaining to them. Foster discussion with your audience by asking open questions and responding to their posts. Whatever you do, do not try to buy followers or engage in any inorganic methods like buying followers – search engines can generally tell the difference between organic and fake profiles. Framed within the context of an interesting social blurb when it’s shared. A question that grabs the audience’s attention or some key point from the post is a great place to start. Written for readability, with segments broken up into headings and subheads. The promise of something awesome – advice on how to achieve something amazing, for example. A list – “10 Easy Ways to Grow Your Social Media Presence,’ for example. A well-established brand voice that appeals to your audience. Last but certainly not least, if you want to encourage increased sharing, you could offer incentives as some kind. A discount for people who share the post with a certain number of followers, an entry into a contest, and the ability to have their own content featured on your social feed are just a few possible incentives. It could also be worthwhile to involve your users in the design process for new products or services through interactive surveys or online discussions. At its core, social media is all about relationships. It’s about your relationship with your core audience; about creating positive interactions with customers who will then associate your brand with that positivity. And it’s about forming strong partnerships with influencers – men and women with a large social following and a great deal of authority in their field. To establish contact with such people, the first step is to follow them. To share and interact with the content they post on their feed. Eventually, you can reach out to them with a personalized email or a direct social message. Be sure to focus on what you can do for them, not on what they can do for you. Show them that you actually pay attention to the kind of content they share and where their interests lie. In short, treat them with warmth and personability, and avoid being too overtly promotional or salesy. The most powerful thing about social media is that it allows your brand to reach out to a larger audience than ever before, largely free of charge. It’s a powerful tool that effectively supercharges word-of-mouth marketing. The increased awareness that brings with it is incredibly valuable from an SEO perspective. Combined with a solid understanding of search engine optimization best practices, that can help you rise to a higher rank than ever before. Last updated by Daniel Page at January 22, 2019 .